Over three million trees are cut down each year to produce junk mail. The average household in the UK receives 18 pieces of junk mail each week, that’s nearly 1,000 pieces a year. 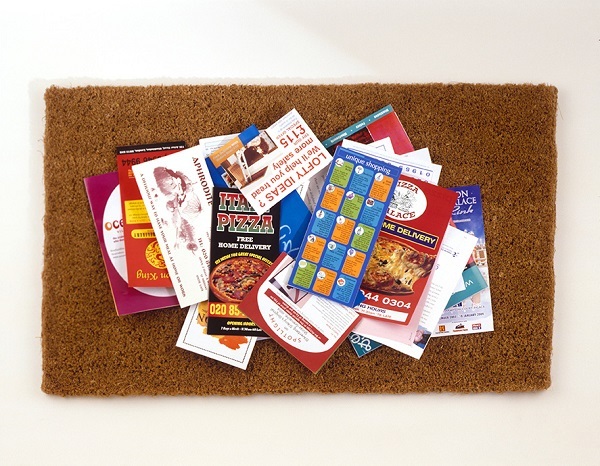 You can easily reduce your waste by saying no to junk mail – follow our five easy steps to a junk mail-free doormat. 1. Sign up to the Mailing Preference Service (MPS) to remove your name from up to 95% of direct mailing lists. Simply complete a registration form online or call 0845 703 4599 to register. 2. Reduce the amount of unaddressed mail you receive by emailing your name to optout@royalmail.com. You will receive a form to sign and return, and Royal Mail will stop delivering unaddressed mail to your address within six weeks. 3. Put a ‘No Junk Mail’ sticker on your letterbox to stop over 90% of unwanted flyers and leaflets. 4. Write ‘Return to sender’ or ‘Not at this address’ on unaddressed or wrongly addressed mail and post back. 5. Tick the opt-out box on your electoral registration form when you register to vote, to prevent your details being used for marketing purposes. Make sure to opt out of receiving unwanted mail when signing up for new products and services. Write, call or email those who do send you junk mail and ask to be removed from their database. If all else fails, remember to recycle your junk mail.